Before you spend money refreshing your wardrobe, check out these outfit ideas you may have forgotten. We all have those go-to outfit combinations we wear every week—a uniform, if you will. But when these tried-and-true ensembles get old, we’re left feeling bored with our wardrobes and in serious need of a trip to the mall. 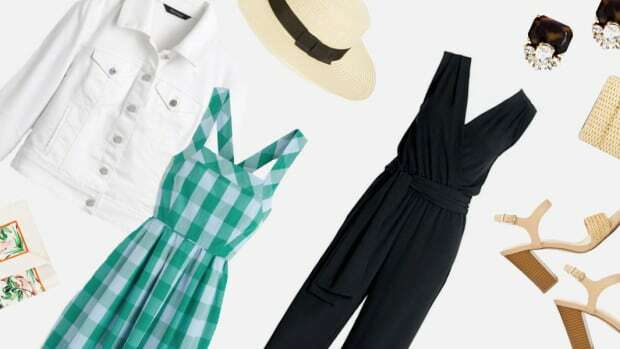 Now, before you hand over your hard-earned cash on some new threads, try shopping in your own closet. That’s right! No money is necessary when mixing and matching the items already in your wardrobe. 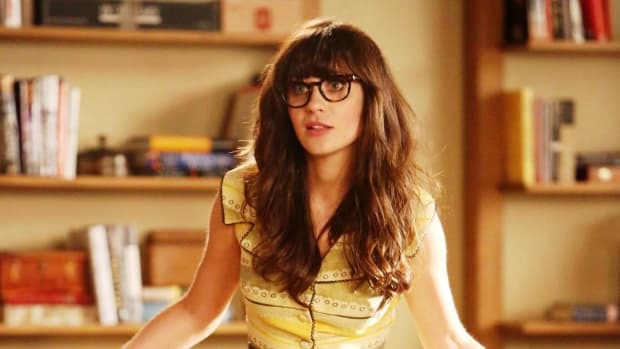 Let’s be real, we all have a few outfit combinations that we forget are ready and waiting in our closets. Here are a few of our favorites. 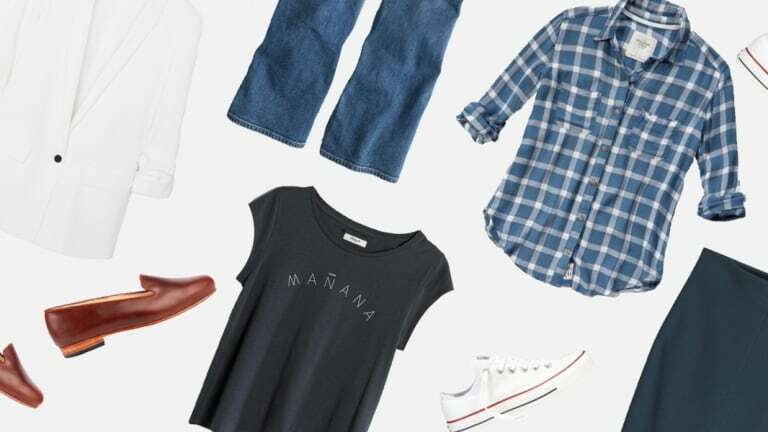 Skinny jeans may have dominated the scene for the past ten years, but don’t forget your trusty pair of wide-leg jeans, be it flares, boot-cuts, or boyfriends—you know you have a pair. Oh, and that graphic tee you thought you threw out? Grab that, too. Take these millennial wardrobe classics out for a stroll by updating them with a casual-meets-professional style. Your staple blazer and academic loafers will smarten up the more laid-back pieces, giving you a relaxed yet pulled-together look. 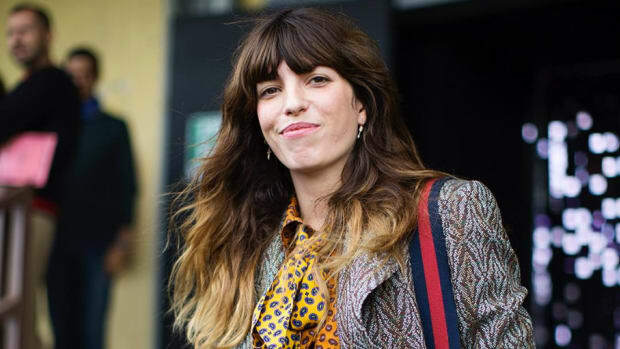 The Parisian-chic look is easier to achieve than you think; we simply forget we own all the ingredients. 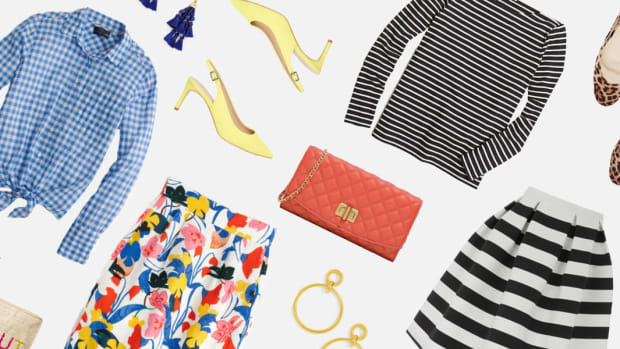 Start with your Breton striped top (or even a solid black quarter-sleeve shirt), and then pair it with your favorite midi skirt—we even think this goes perfectly with a bold floral. 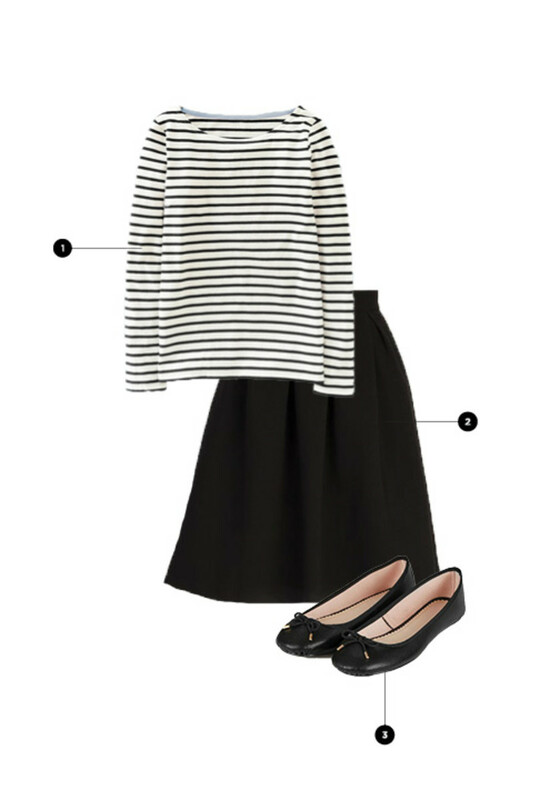 To really complete the iconic French look, throw on a pair of simple black ballet flats. Et voilà, tu es Français! Now, this one is a little more unconventional and, dare we say, trendy. But when utility meets comfortable-chic, we are on board. 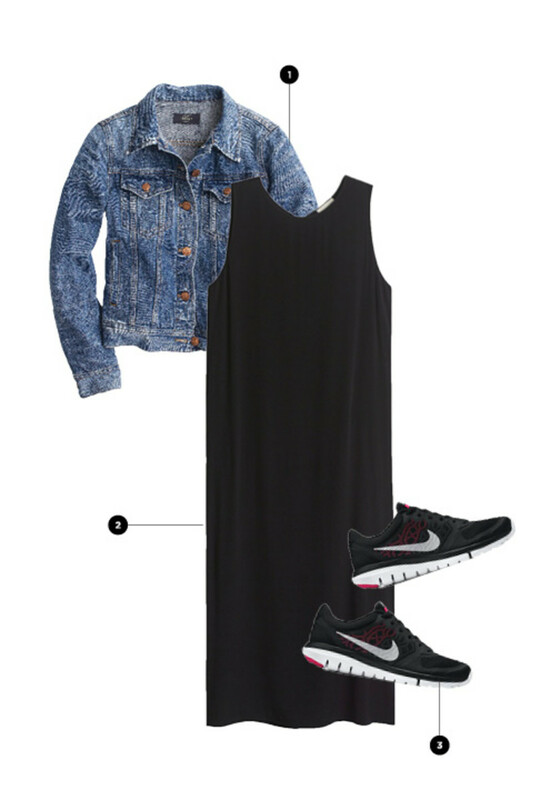 Your favorite black stretchy cotton dress has met its match—sneakers. You might have never considered wearing your trainers with a dress, but this new take on luxury versus sportswear has made a name for itself in the style world. Who knew arch support could be so fashionable? 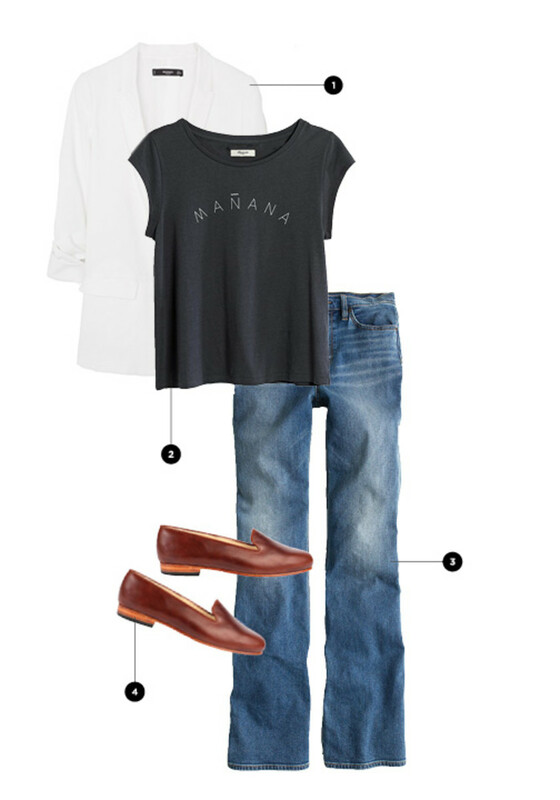 Less is more when putting together an effortlessly chic outfit. 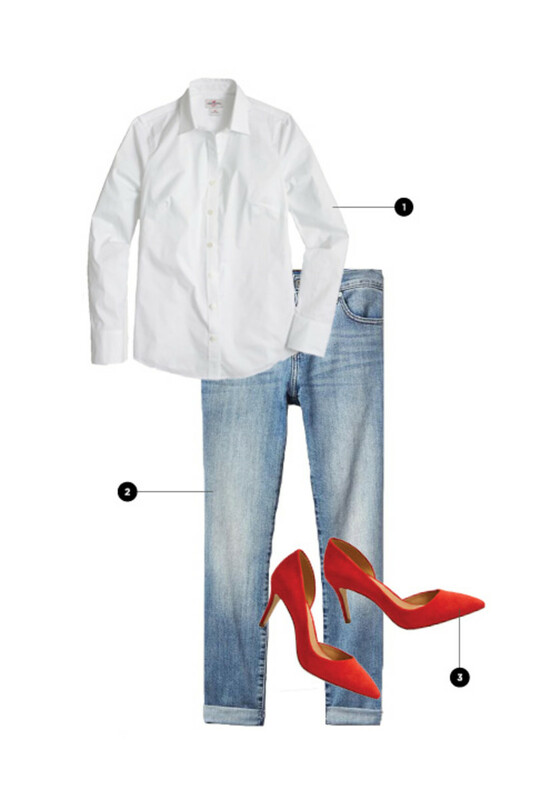 All this look takes is your crisp white poplin shirt, those relaxed boyfriend jeans, and your favorite pair of heels. The button-up creates a look of pulled-together professionalism, while the boyfriend jeans dress it down for an overall street-savvy look. 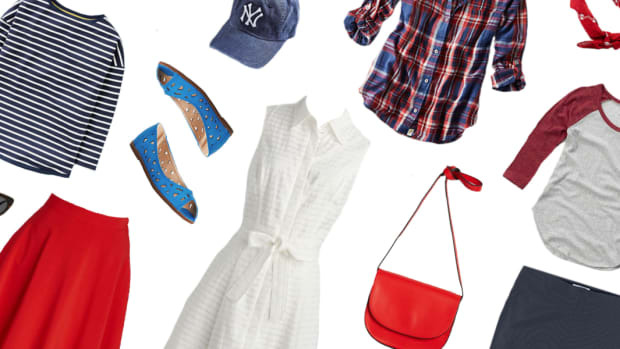 But to really amp up this borrowed-from-the-boys outfit, throw on your boldest heels for a style blogger–worthy look. The juxtaposition of masculine and feminine will be a fun switch-up from your everyday look. This look is all about mixing together those seemingly contrary items. A pencil skirt isn’t just for the office; in fact, it can be worn with your most casual items. 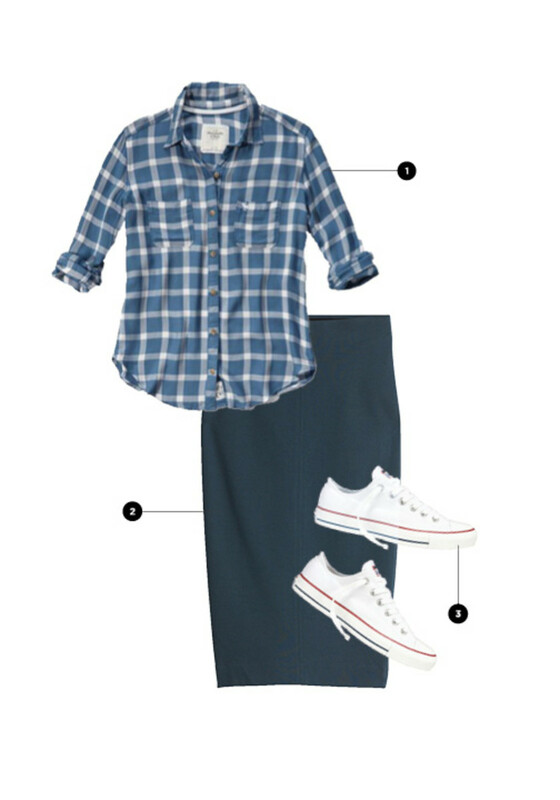 Your lucky plaid button-up and Converse All Stars from high school make a surprising match, complementing the formality of the pencil skirt by dressing it down. The results? An innovative twist on your casual and business professional classics.